Every detail of the wedding is so carefully thought out and planned. From the venue to the floral to the decor to the dress, each choice is the result hours of research by the bride and groom. The rings are one of the couple’s most important decisions; they are a reflection of their style that they will see them every day. But more than that, they are a time-honored symbol of their marriage. The Egyptians believed the circle represents eternity, and a ring therefore signifies never-ending love. They also believe the third finger on the left hand had a vein that connected directly to the heart which is why it became the finger for the ring. 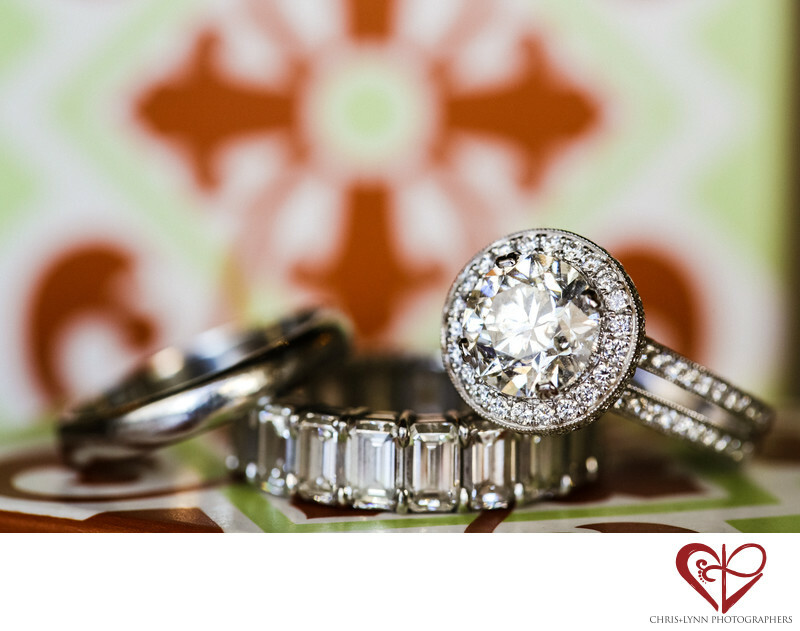 As wedding photographers, when taking photos of rings,we want to emphasize the clarity and cut of the diamonds with the lighting as well as choose a meaningful background setting. For this image, the Mexican ceramic tile so distinctive to the One & Only Palmilla was colorful backdrop to the bride’s engagement ring and the couple’s wedding bands. This image was shot with the Canon 5D Mark 2 using the Canon 100mm f2.8 Image Stabilized Macro lens. Location: One&Only Palmilla, Carretera Transpeninsular Kilometro, 23400 San Jose Del Cabo, BCS, Mexico. 1/200; f/5.6; ISO 800; 100.0 mm.